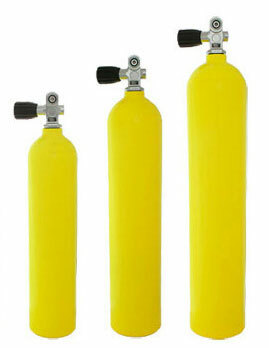 SCUBA tanks are made of either aluminum or steel, both have their advantages and disadvantages. Tanks come in many sizes, shapes, pressure ratings, and of course, colours. If you are thinking of purchasing tanks come talk to us to determine the best tanks for your needs and budget.